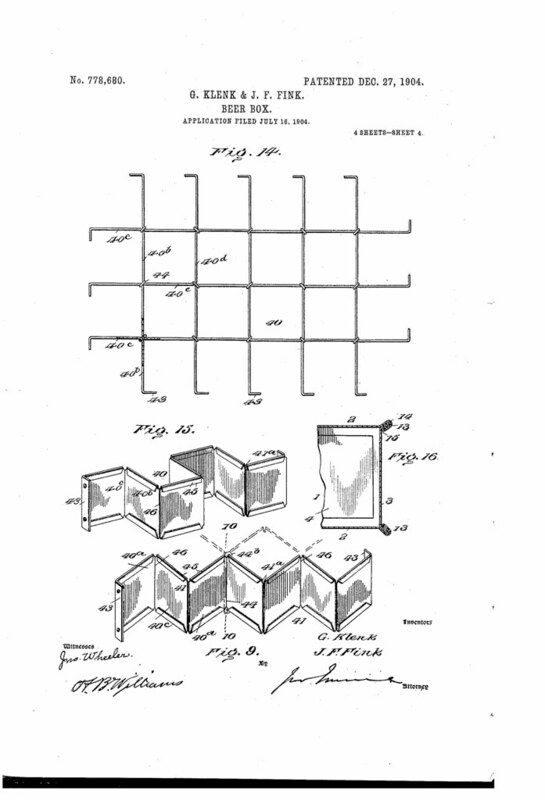 Our invention relates to improvements in metal beer-boxes provided with peculiarly-arranged partitions to form compartments for the reception of the bottles and specific and minor details of construction to strengthen the structure. The prime object of our invention is to provide a metal box with a nominal number of parts, seamed and fastened, whereby great strength and durability will result. A further object of our invention is to construct a seam at the bottom of the box to provide a projecting flange and arrange a support at the top to receive a flange of a companion box when they are stored or packed. \Ve also provide specific improvements in the seams at the corners of the box to resist the force of blows due to the rough handling boxes of this type are subjected to. The invention also comprehends specific improvements of the partitions forming the bottle-compartments, as well as the particular manner of attaching them. 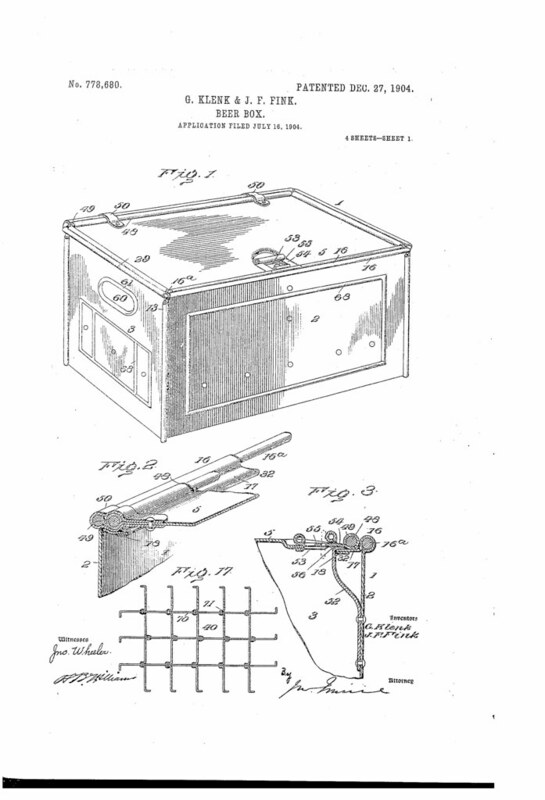 Furthermore, our invention relates to the specific construction of the means employed for locking the cover, the same consisting of a spring-hasp on the box and a co-acting pivoted engaging member on the cover.